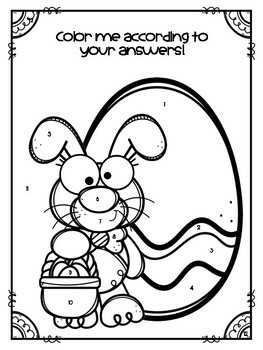 In this fun Easter mixed skill revising and editing activity, students will answer questions and color a bunny with an Easter egg based on their answers. 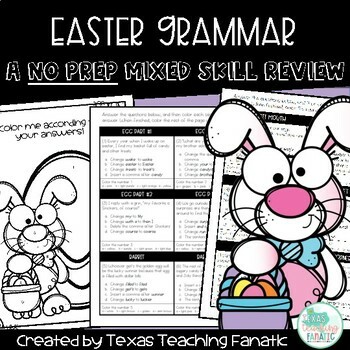 There are a variety of skills assessed in this product, including commas, capital letters, verb tenses, end punctuation, apostrophes, homophones, comparative/superlative adjectives, complete sentences and quotation marks. 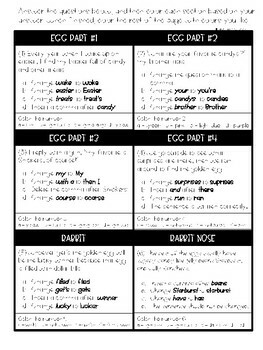 This can be used as practice, in small groups, or as an assessment tool.